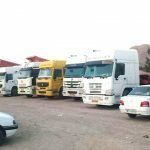 Iran’s truck drivers continued to demonstrate against the clerical regime as their strike entered its 11th day on Friday, June 1st. 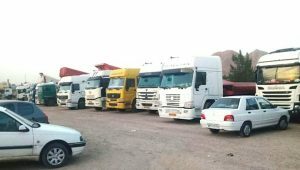 Cities such as Isfahan, Mahshahr, Kerman, and Golgohar, among others, have had their logistics sectors grind to a halt as drivers turned off their engines in a display of protest. The strikes began on May 22nd, when truck drivers in seven of Iran’s provinces began demonstrating stagnant wages, rising insurance costs, and arbitrary tolls. The protests have since spread to all of Iran’s 31 provinces and more than 249 cities. The mullahs have employed various repressive measures to break the will of the truck drivers and bring the strike to an end. Drivers have reported receiving threats and the use of intimidation to force them back to work. In Yazd, agents of the regime burnt trucks. Elsewhere they attempted to use army trucks to distribute fuel and goods, but the protestors blocked their path. Despite the regime’s best efforts, the drivers’ determination has been unwavering. They have risked their freedom and their livelihood to vent their frustrations at their appalling treatment at the hands of the mullahs. The Iranian state media has not reported the strike activity. The Roads and Urban Development Ministry reported the agreement of a 15% increase in driver’s fees, however, it is not clear whether this is another hollow promise from the regime to bring the protest to an end. The strike is a major concern for the clerical regime. Over 90% of Iran’s goods are transported via the country’s extensive road network. The truck drivers’ strike has, therefore, had widespread effects across industrial and economic sectors. Images of cars queuing up at petrol stations in Shiraz and Esfahan were shared on social media as the strike disrupted fuel supply lines. Despite the disruption, the Iranian public stands with their compatriots and support the truck drivers in their fight for fairer pay and better working conditions. President-elect of the National Council of Resistance of Iran (NCRI), Maryam Rajavi, has been instrumental in drumming up support for the protest movement. She saluted the truck driver’s efforts and called on the Iranian people to support the striking drivers. The movement has also garnered international attention. The International Brotherhood of Teamsters, a major American and Canadian labor union which represents supply chain workers, tweeted a message of solidarity with the Iranian truckers. Its statement calls on Tehran to give in to the protestor’s demands. The tweet drew attention from many Iranians who expressed messages of support and gratitude.